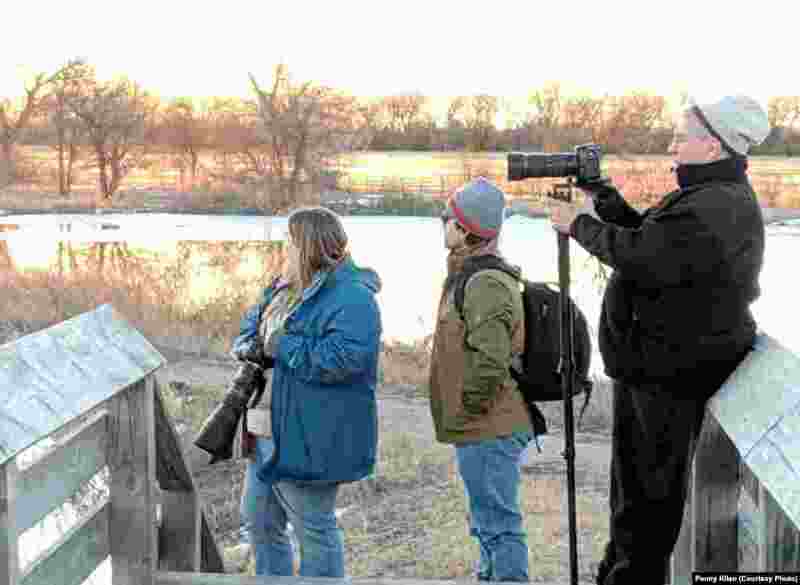 5 Photographers from all over the world capture the colorful cranes from blinds or these river-side platforms, near Gibbon, Nebraska, March 16, 2019. 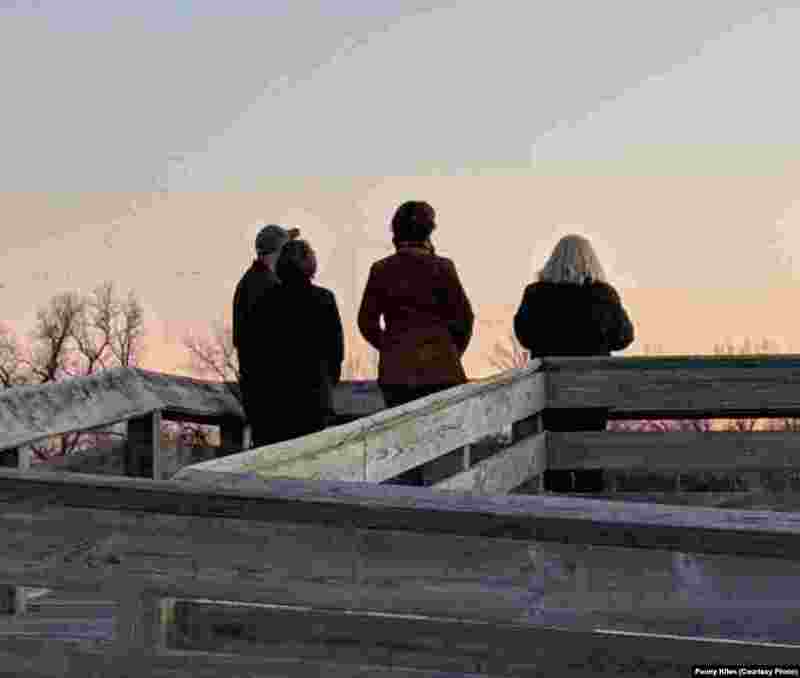 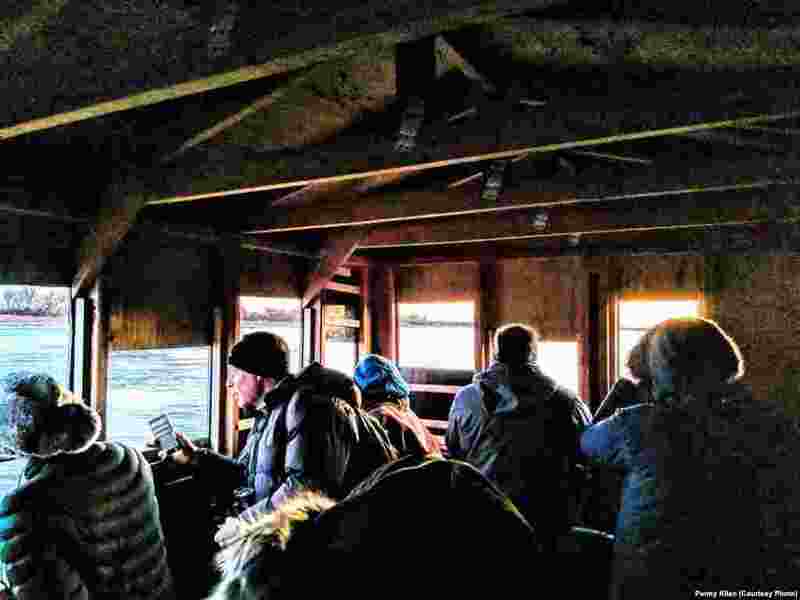 6 In the evening, bird tourists find a vantage point to watch the waves of cranes fly over the Platte River, near Gibbon, Nebraska, March 16, 2019. 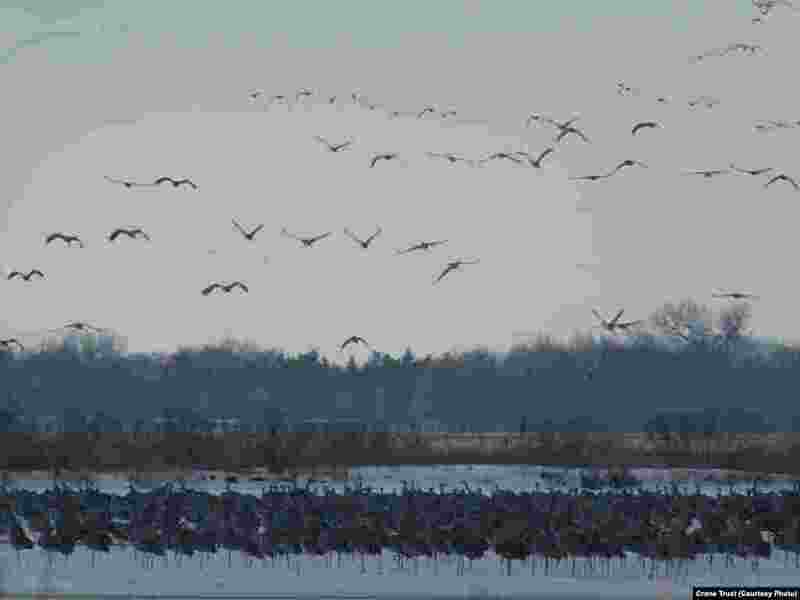 7 Sandhill cranes' colorful plumage, and colorful personality, are on display every March on the Platte River in central Nebraska, March 14, 2013. 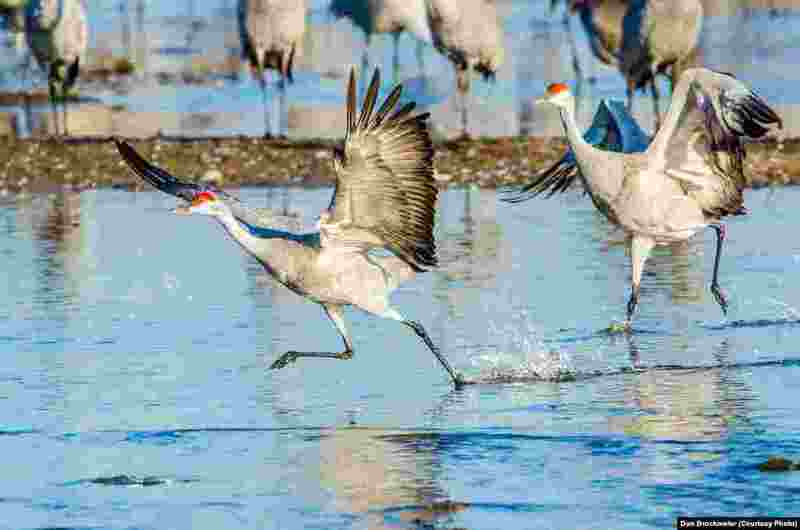 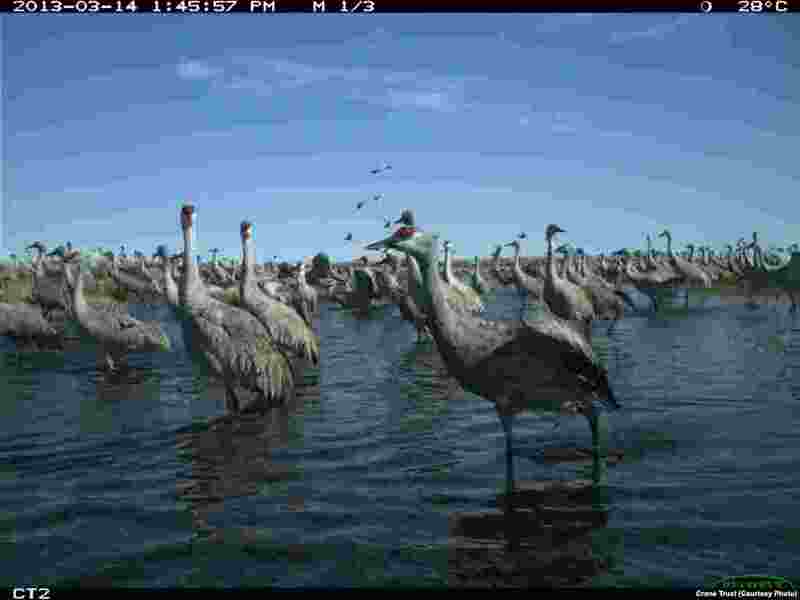 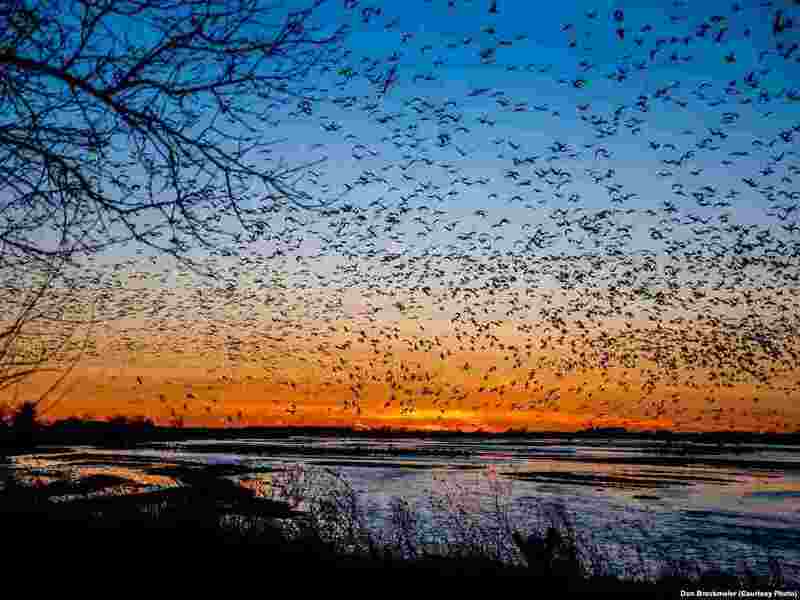 8 Chris Helzer, science director for Nature Conservancy of Nebraska, in describing the arrival of the sandhill cranes, said, "The best description I've read is like a dandelion seed falling gently." 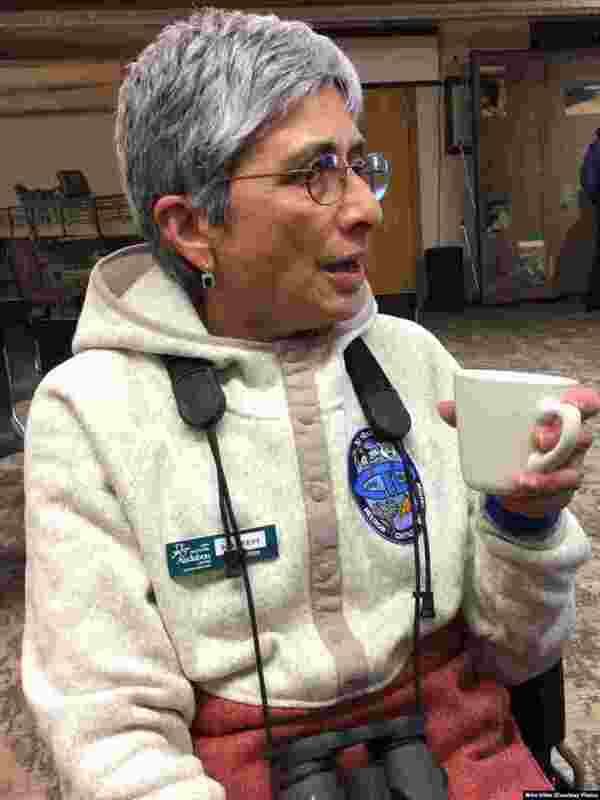 9 Neseem Munshi of Colorado has been coming to Nebraska to see the crane migration for many years and compares it to the world's other great migration in her native Africa -- the wildebeests.